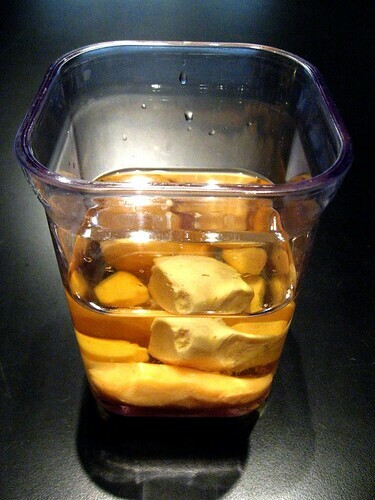 Step 3: Pour the vodka over the peeled ginger until it is submerged. 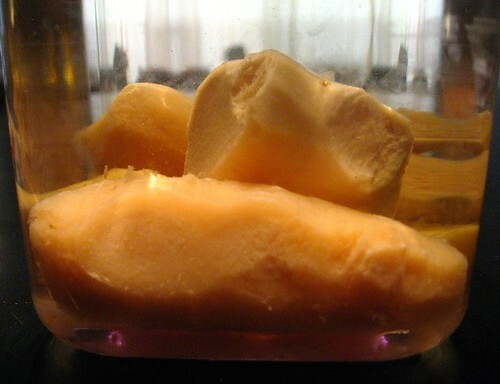 Check out how beautiful this submerged ginger is! 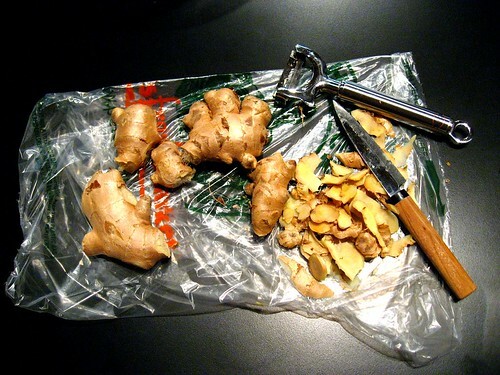 Step 4 (this is the most important): Make something delicious with said ginger! Excellent advice! 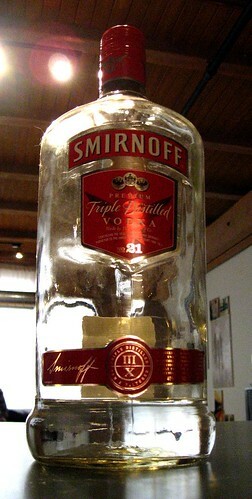 You wouldn’t happen to have a good recipe for ginger vodka? Pour liquids over ice in a large cocktail shaker. Serve on the rocks or strain into martini glasses. Garnish with candied ginger on a skewer.